The Columbus Blue Jackets failed to reach the Stanley Cup Playoffs in 2015– a disappointing result for a season that promised so much. After qualifying for the postseason for just the second time in franchise history in 2014, the Blue Jackets won their first playoff game but lost the series in six games to the Pittsburgh Penguins. Still, the Jackets are a small step away from not only returning to the postseason but legitimately contending for a deep playoff run. Prior to the 2014-15 season, the average age on the Blue Jackets’ roster was 26.2 years old– the youngest in the National Hockey League. It’s also worth noting that 40 percent of the Jackets total scoring came from players 25 years or younger. That total excludes contributions from Marko Dano, Jeremy Morin and Corey Tropp who were shipped to Chicago in a trade for Brandon Saad. It also excludes a team-leading 73 points from Captain Nick Foligno (27) and an additional 40 from Jack Johnson (28). Since 2010, Columbus has collected six top 20 picks, including a trio of first-rounders in 2013. Kerby Rychel and Alexander Wennberg remain after the club parted ways with Dano. To add to that list, Ryan Murray holds the key to a defensive corps that has turned into one of the Blue Jackets few question marks. It also includes a 26-year-old Vezina Trophy winning goaltender in Sergei Bobrovsky. While the high draft selections are symbolic of the Blue Jackets’ past shortcomings, they’ve also loaded the Jackets with a plethora of young talent that are on the cusp of breaking through to the NHL level. As of this article, the average age is now 27.2 years-old. Only Edmonton, Tampa Bay, Buffalo and Ottawa boast younger rosters. Those young, energetic and fresh legs are optimal for an 82-game marathon towards the postseason. 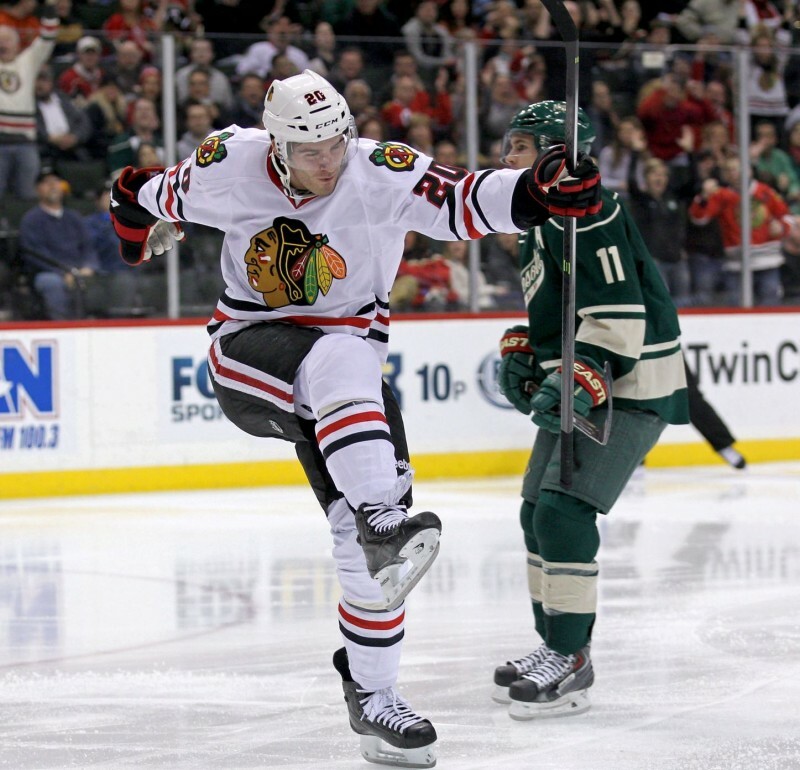 Arguably the most sought-after commodity of the offseason was Brandon Saad. Columbus came swooping in out of nowhere and landed perhaps the trade of the offseason. Saad is one of the premier young talents in the league, racking up 126 points in 208 career NHL games. He’s also just 22-years-old and fits exactly into the mold of how the Blue Jackets want to play. Saad is fast, physical and has tremendous hands that have been groomed skating alongside one of hockey’s brightest stars, Jonathan Toews. Saad has scored 19 and 22 goals in the past two seasons, respectively, and his best years are still ahead of him. Despite being young, the Pittsburgh, Pa. native oozes experience, particularly in the playoffs, which is where the Blue Jackets are trending. He tallied eight goals and helped on three more during the Blackhawks run to their third Stanley Cup in five years. But aside from what Saad brings to the ice, it’s his value in the dressing room that could pay the biggest dividend for the Blue Jackets. Saad possesses a unique combination of youth and playoff experience. Confidence, a winning attitude and knowledge of how to win playoff hockey games are lessons Saad can teach and attributes that Richards hopes permeate the dressing room. Owning a Cup ring and being able to communicate fluently with a young club will make Saad a crucial player for the Blue Jackets as they march back towards the postseason. Goaltender Sergei Bobrovsky established himself as one of the premiere goaltenders in the league with a Vezina Trophy in 2013. Since coming over from Philadelphia in a trade, Bobrovsky has compiled a 2.39 GAA, .923 save percentage to go along with a 83-48-14 record. Bobrovsky is a cornerstone of this franchise, and ownership has backed that sentiment by giving the Russian goaltender a four-year, $29 million contract. That’s money well spent if Bobrovsky can stay in the lineup. A broken finger sidelined the goalie for eight games in October and a groin injury forced Bobrovsky back to the bench in January. The setbacks limited Bob to just 51 games. It’s no coincidence that the Blue Jackets’ early-season struggles, something that Columbus is trying to avoid this year, coincided with Bobrovsky’s injury. Columbus was 8-18 without Bob last year. Staying healthy was something that much of the Blue Jackets’ roster struggled with last season. Health is always a factor in determining a club’s success. The Jackets lost 508 man games to injury in 2014-2015, which was the most in the league and set a franchise record. Compare that to the 297 games lost in 2013-14 when the Jackets won their first postseason game and you can clearly see injuries contributed to a slide in the standings. But those injuries also came to key players in the Blue Jackets lineup. Brandon Dubinski, Artem Anisimov, Ryan Murray and 2013 Vezina trophy winner Sergei Bobrovsky each missed 23 games or more. At one point in November, 11 of the Blue Jackets’ projected starting 20 players were out of the lineup. If Columbus stays healthy, they will return to the Stanley Cup Playoffs and should be battling it out for a division crown.